Our buying prices are regularly published in philatelic publications such as the Philatelic Exporter, Gibbons Stamp Monthly, Stamp Magazine and Stamp and Coin Mart. The printed magazine adverts do go out of date fairly quickly therefore please always check for the most up to date prices publish here on the website. IF POSSIBLE PLEASE SEND YOUR STAMPS MADE UP IN BAGS OF 100 or 200 CONTAINING THE SAME VALUE. SMALLER AMOUNTS ARE ACCEPTED BUT PLEASE WRITE ON EACH BAG HOW MANY STAMPS ARE INSIDE. IF YOU CAN'T BE BOTHERED WITH THE WORK WE CAN ALSO BUY MIXED VALUE BAGS FOR 50% FACE VALUE SO LONG AS THE TOTAL VALUE IS CLEARLY WRITTEN ON THE PACKET. (We always require GB postage but some values are more popular than others so please contact us by email or telephone where the value is likely to be over £2000). Note the buying prices quoted in this section are based on my latest Internet auction realisation's. This ensures that you receive the fairest possible price for your material. and cannot be used for postage. neatly presented in albums and can be sold on intact. We normally only accept lots sorted by denominations or by sets/sheets. Minimum shipment £50.00 or €75,00. Prices for UK subject to stock requirements. We do not buy un-gummed, unused or re-gummed stamps which have already been through the postal system. It is illegal to re-use or sell them. ​PAYMENT IS MADE AS SOON AS THE CONTENTS HAVE BEEN CHECKED. We deal with postage consignments in order of date received therefore if we are very busy in can take a bit longer to process your material and send payment. 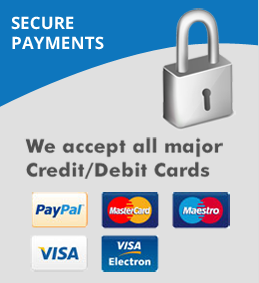 In any event we will always pay within 30 days of receiving your parcel. Very large or untidy lots may take more time to process and value. Selling Tip: Generally you should always get more money for your GB decimal stamps if you sell them direct to a dealer at a fixed price. For example the buying prices we offer are pretty much what we currently have to pay at a good stamp auction. This means you could receive up to 25% more as you would not have to pay an Auctioneer's selling commission. In addition most auctions now charge the winning bidder a buyer's premium of between 10% and 20%. Buyers take full account of this premium when calculating and placing their highest bids. You will also get paid much quicker. We are always keen to buy outright, or sell on a competitive commission basis, good quality GB and Commonwealth stamps and cover collections. (see Services section above for details). You can either send us your collection by Special Delivery or book an appointment to have your collection appraised. We are always pleased to personally meet customers and will always give you sound honest advice. No need to wait months, as you do when selling through public auctions, plus you will make more money into the bargain! We have already helped 100's of people achieve the best value from their collections. For large, bulky and more valuable collections it might be possible to arrange a home visit so that we can give your collection an appraisal.and advise you on the best methods of sale. Unfortunately the world is awash with ordinary first day covers. It is one of Royal Mail’s biggest money makers and the biggest loss maker for collectors. Supply of standard Royal Mail covers outweighs demand by a huge margin. Sadly can no longer purchase bureau covers unless they are recent issues. We would be happy to help you sell them on a commission selling basis. First Day Covers issued as limited editions or by specialist private producers can be worth a lot more and we are always keen to purchase good collections no how big. We regularly buy auction lots in excess of £2,000 and split them up. Good collections including such covers as the 1924 and 1925 Wembley Exhibition, 1929 PUC low values and obviously the £1, 1935 Silver Jubilee and 1948 Silver Wedding. Pre 1952 First Day Covers in good condition. 1952 - 1970 Clean Illustrated covers, with a typed, label or no address. 1971 - 1977 Clean illustrated covers with a special or connected postmark, label or no address. After 1977 has to have a retail of £50 per cover. Benham Covers - Early Woodcut or better signed covers. Channel Islands World War II Occupation Collections. Quantities of the same cover that are clean and interesting. Great Britain Airmail flights, particularly 1920 - 1950. RAF MUSEUM Collections and single items, Special Signed and unusual limited edition. 1953 Coronation. Railway Cover Collections. Victoria Cross Signatures. Autographed covers, we are always interested in rare and unusual signed covers. Once again I am always keen to buy or sell on commission good collections especially from the more popular countries. We will always buy mint stamps which are still valid as postage today. This includes all of the EU members plus Norway, Sweden etc. WE GUARANTEE TO PAY YOU AT LEAST AS MUCH AS YOU WOULD GET AT AUCTION AND OFTEN CONSIDERABLY MORE. I BUY APPROXIMATELY 60% OF STOCK FROM AUCTIONS. IT WILL HELP BOTH OF US IF WE CUT OUT THE AUCTION FEES. When sending packages from outside the European Union our GB VAT No: GB 865 9331 87 and EORI No GB865933187000 must be clearly marked on the package (not on the Customs Label) in large easy to read print. Failure to do this, may result in either me not collecting the item, in which case, it will be returned to you in about a month or so by your carrier, or me paying the Customs charge and then deducting it from the amount I owe you. PHILATELINK LTD, 13 REDPATH CRESCENT, GALASHIELS, BORDERS, TD1 2QG, UK. We advise that you use a signed for upon receipt postal service, as proof of posting is not proof that we have actually received the package. Philatelink February 2019 Service with a Smile!